ALAPPUZHA: Union Health Minister J P Nadda today ruled out the possibility of any increase in drug prices due to hike in import taxes and assured that medicines would be made available at cheaper rates. “It is falsely reported that there will be hike in drug prices in India due to hike in import taxes. 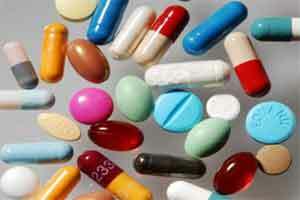 On the contrary, medicines are likely to become cheaper,” he said. “Apart from generic drugs, medicines for cancer and cardiovascular surgical implants will also be available at 60 to 90 per cent subsidised rates,” he said laying the foundation stone of the Rs 150-crore super speciality block for the Government Tirumala Devaswom (TD) Medical College. HLL Infra Tech services Ltd, a subsidiary of HLL Lifecare Ltd (HLL), will construct the 14,100 sq m block. Nadda also said his ministry was willing to provide assistance in setting up Amruth Centres in Kerala, but the state government should provide land. The minister later visited HLL’s Hindlabs’ MRI Scan Centre, which was set up in January 2010 at the Alappuzha Medical College, and lauded it for setting up the lab with most modern equipment, including MRI scanning machines. Hindlabs was launched by HLL Lifecare Limited (HLL), a ‘mini Ratna’ PSU, to curb the exploitation by private medical laboratories. It provides diagnostic tests to patients at 10 to 60 per cent rates cheaper as compared to market rates. Kerala Health minister, V S Sivakumar, HLL Chairman and Managing Director, Dr M Ayyappan, were among those present.